If you have a plumbing clog in a drain, I like to do the easiest fixes first as most people do. For toilets, a plunger or a closet auger works well. For sink drains, cleaning out the trap takes care of many issues. For larger drains like showers, you can clear the trap easily enough, and then try a snake to reach the blockage if it is within the reach of the snake. But what if it’s not? You can try a drain bladder. This is a rubber bag that expands once you pressurize it. 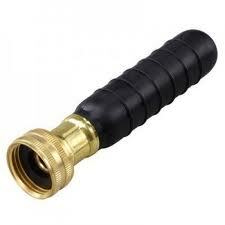 There are different sizes made for different pipe diameters, but basically, you attach a hose to the end of the bag and place it at the opening of the pipe. It will also come with fittings to connect it to an indoor faucet. Turn the water on and as the bag begins to fill with water, it compresses against the interior walls of the pipe. Water then begins to pulse out of a small hole at the other end of the bag. The idea is that the pressure will push the clog out of the drain and into a larger pipe where it is free to tour the city via the sewer. I did not know about such a rubber bag. I'll have to try).